Apple's latest acquisition is the longtime Cupertino campus of rival tech giant Hewlett-Packard, the Mercury News learned Wednesday. HP announced over the summer that it planned to move out of that site, which it had occupied for decades, as it consolidates operations at its Palo Alto headquarters over the next two years. 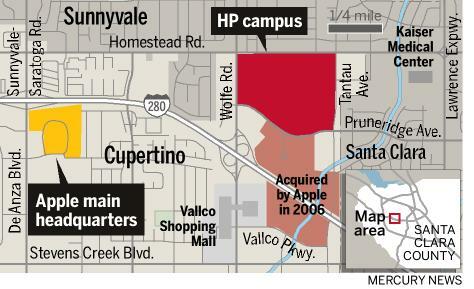 The extra land will be used by Apple to expand their existing Cupertino campus. They don't list their source for the information, so we're not sure how much is speculative, but they claim the MacBook Pro will follow the MacBook Airs move to Solid State Storage and removal of an optical drive. The Thanksgiving holiday in the U.S. has triggered massive sales in the App Store. TouchArcade has consolidated a massive list of notable gaming sales. Meanwhile, AppShopper offers a running list of every App Store sale as they happen. The Universal App let's you find sales on your iOS device. We'll cover Apple's U.S. Black Friday sales tomorrow, which should offer similar savings.